It can be difficult to muster anger about every bitcoin scam out there, but when con artists go after our Very Good Dogs, consider me invested. 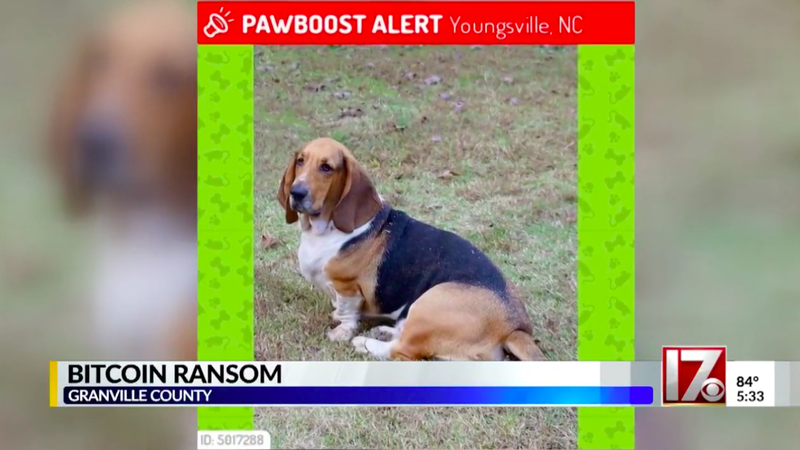 This weekend, a basset hound named Happy went missing in North Carolina, and a scammer claiming to have the dog soon demanded hundreds of dollars in bitcoin for his return. Patricia Howell, Happy’s owner, found her dog after a day thanks to a tip on a community Facebook page, CBS17 reported. But within minutes of arriving home with her dog, Howell got a text message from someone threatening to “sell it or kill it or whatever” if they didn’t receive $600 in bitcoin within five days. Once received, the scammer claimed they would leave Happy at a pet store with Howell’s contact info. “I knew it was a scam because I had Happy, but it was heartless and cold and it was so mean-spirited,” Howell told CBS17. The person demanding the bitcoin ransom likely got Howell’s number from either a Facebook post about her lost pup or Pawboost, a lost and found site for dogs, where she had posted her contact information. The Granville County Sheriff is reportedly investigating the incident, and said that he’s aware of similar ransom cases. Online extortion using bitcoin is hardly uncommon, but it’s particularly ruthless when it preys on our devotion for our dogs.